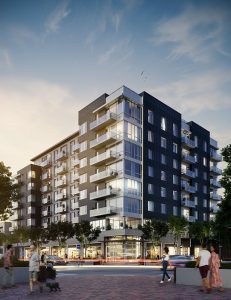 Holliday Fenoglio Fowler, L.P. (HFF) announced $50 million in financing for 210 St Paul, the first phase of The St Paul Collection, an iconic mid-rise, mixed-use residential and retail property in Denver’s Cherry Creek North neighborhood. The HFF team worked on behalf of BMC Investments to secure the 11-year, non-recourse, full-term, interest-only fixed-rate loan through Freddie Mac’s Lease-Up Loan Program. The loan will replace existing construction financing and will be serviced by HFF, a Freddie Mac Multifamily Approved Seller/Servicer for Conventional Loans. The St Paul Collection is a two-phase development located at the intersection of St Paul Street and 2nd Avenue amid more than 2.5 million square feet of retail within walking distance to the property. The property’s central location also gives nearby access to major employers in Cherry Creek and Denver’s CBD. Completed in June, 210 St. Paul comprises 81 luxury residences in a mix of one-, two- and three-bedroom floorplans as well as penthouses ranging in size from 770 to 2,800 square feet. The property also includes 11,000 square feet of retail leased to CB2, Crate & Barrel’s fresh approach to furnishings & décor. The second phase, which is not part of this financing, will add an additional 84 residential units and 44,000 square feet of retail space. Designed by 4240 Architecture, St Paul Collection incorporates luxury condo-quality finishes and modern, open layouts. The HFF debt placement team representing the borrower consisted of Director Brock Yaffe. 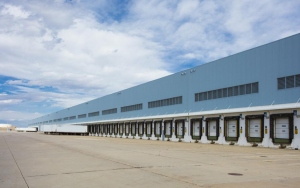 Cushman & Wakefield announced the completed sale of Colorado’s largest industrial building at 18875 East Bromley Lane in Brighton. The 1.3 million-square-foot building, which is occupied by Sears, was purchased for $40.75 million according to Drew McManus, managing director of the firm’s Denver office. McManus represented the seller, Brighton Lease Management, LLC along with Matt Trone and R.C. Myles both of Cushman & Wakefield. Newport Beach, CA-based Starboard Realty Partners LLC was the buyer. “The offering of this high-quality single tenant facility generated substantial investor interest from a broad range of prospective buyers. Interested parties included domestic and foreign high net worth individuals, private equity and institutional investors. 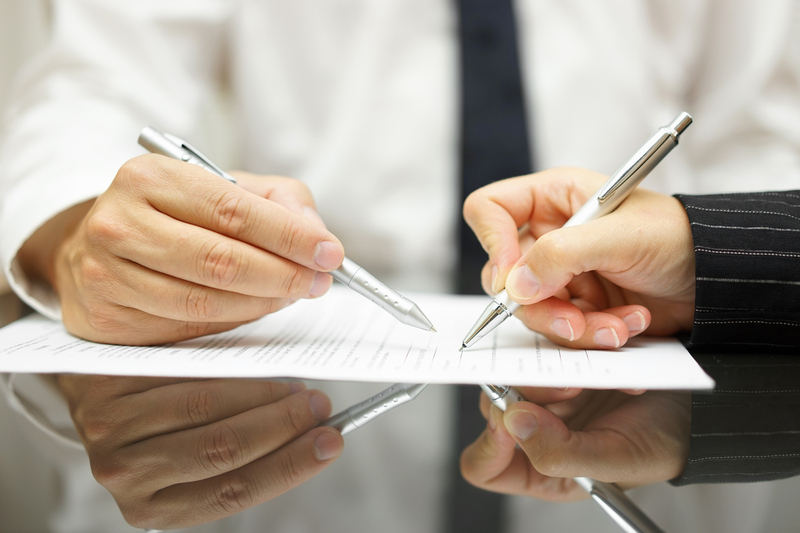 Starboard was selected and completed the acquisition in an efficient manner,” said McManus. The total site size is approximately 104 acres and improved with a 1,305,000-square-foot regional distribution center, originally built for KMART in 1996. It has excellent accessibility to I-76 and 470.  The property is situated on Bromley Lane, the entrance to the city of Brighton, with I-76 providing quick access to I-25, DIA, I-70, E-470 and I-80. The property is also proximate to numerous amenities including restaurants, medical facilities and other retailers. 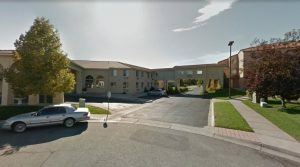 Marcus & Millichap (NYSE: MMI) announced the sale of the San Marino Retirement Community, a 185,871-square-foot independent living, assisted living and memory care community in Westminster. The asset sold for $32,390,000. “The new owner plans to significantly renovate the campus and improve occupancy, which was 90 percent at the time of sale,” says Sam Thompson of Marcus & Millichap’s Portland office. Waterton, a national real estate investor and operator, announced it acquired an 18-building, 280-unit garden apartment community located in Thornton. NavPoint Real Estate Group announced it has completed the sale of an office condo at 5420 S Quebec St Units 206 in Greenwood Village. The seller was Timberline Professional Center, LLC and was represented by Charlie Davis of NavPoint Real Estate Group. Todd Rosen of Elevate Commercial Real Estate, LLC represented the buyer, Geris Capital, LLC. Cushman & Wakefield announced the sale of Harmony Commons, a 25,701-square-foot Class A multi-tenant retail center, located at 3541 and 3581 East Harmony Road according to Steve Schwab, managing principal of the firm’s Denver office. The property was purchased for $13.15 million. Jon D. Hendrickson and Aaron D. Johnson, managing directors, of Cushman & Wakefield Denver’s Capital Markets Group represented the seller. Millennium Plaza in Greenwood Village has sold for $85 million. The office building, located 6200 S Quebec St. near Fiddler’s Green Amphitheatre, was sold to Beverly Hills-based Kennedy Wilson by CBRE Global Investors LLC. The building is four stories tall and has 335,855 square feet, an on-site fitness center and cafe. SVN | Denver Commercial announced the lease of 9700 Alton Way in Henderson. After completing the acquisition of Neff Rentals late last year, United Rentals has now taken over and renewed their lease. Corey Murray, senior advisor of SVN/Denver Commercial, represented the investor/property owner in this transaction. Boasting 8 acres of yard space and 18,000 square feet of office/shop space, including a wash bay, this is an important hub for equipment rentals. Holliday Fenoglio Fowler, L.P. (HFF) announced the $4.725 million sale of Lincoln Professional Plaza, a 16,670-square-foot office building in the southeast suburb of Lone Tree. The HFF team marketed the property on behalf of the seller, affiliates of Lincoln Tower Dental Group and Tu Dentista, which are also tenants and will lease back their share of the property. 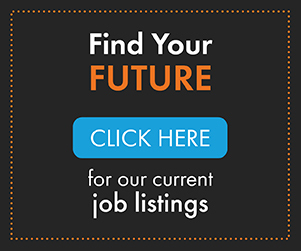 Lincoln Professional Plaza is located at 8683 East Lincoln Avenue in one of the most affluent southeast suburbs of metropolitan Denver.